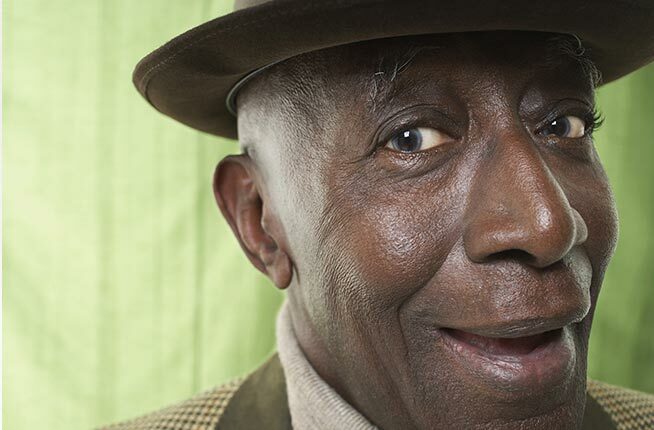 Below you will find information and additional learning resources about older adult health and managing chronic conditions, including dementia. These resources are being collated over time, so please check back often as our offerings grow! The well-documented national increase in the number and percent of older adults (US Census Bureau, 2010) is reflected in Illinois, having grown from 1.9 million to 2.2 million in the past decade, currently representing 17.7% of the state population. It is estimated that by 2030 the older adult population will increase to 3.6 million and represent 24% of Illinois’ population. The population age 85 and older is currently the fastest growing segment of the older population. The population of older adults is also more diverse both culturally and linguistically as the number of minorities age 60 and older living in Illinois increased by 39% between 2000 and 2010 (US Bureau of the Census, 2010). Approximately 8% of older adults in Illinois live in poverty (US Bureau of the Census, 2009). Without Social Security, an additional 36% of older Illinoisans will fall into poverty (AARP Public Policy Institute, 2012). While an increasing proportion of the U.S. population resides in urban areas, a substantial proportion of the population continues residing in rural areas. Many of these rural areas are designated physician shortage areas (HRSA, 2003). Approximately 17% of the US population and 20% of Illinoisans live in counties classified as rural or nonmetropolitan (CDC, 2014). The age of the population increases as “rurality” increases (Rural Health Reform Policy Research Center, 2014). Adults over age 65 account for 17% of the total population in rural areas, compared to 13% in urbanized areas. Rural areas are likely to see the greatest surge in this age group (Cromartie et al., 2009). Chronic conditions such as diabetes, arthritis and hypertension are common, expensive, and increasing (Mokdad, 2000).The number of people suffering from MCC (two or more chronic conditions) is increasing nation-wide and especially prevalent in adults over the age of 65. Approximately 62% of older adults nationally suffer from multiple chronic conditions (Anderson et al., 2004). This rate increased by 8% from 2000-2010 (CDC, 2012). In Illinois, the rates are considerably higher, with 77.5% of older adults reporting two or more chronic conditions (Amerson et al, 2015). Data from the Illinois Cook County Health System indicates that rate of MCC is rising by 1-2% per year. (Cook County Health and Hospitals System, unpublished data). In the context of MCC, geriatric syndromes (falls, malnutrition, disability, frailty, and increased dependence), are common and lead to considerable personal suffering (CMS, 2012; Fried et al., 2001; USDHHS, 2010). MCC are associated with more rapid health decline and both decreased quality of life and psychological well-being (Fortin et al., 2006). MCC also negatively affect the health care system due to associations with increased emergency room visits, hospital stays, and post-operative complications, as well as fragmented or disorganized care (Fortin et al., 2007). In all, MCC explain 84% of national health care spending (Yoon et al., 2014; USDHHS, 2010). MORE INFORMATION AND RESOURCES COMING SOON! PLEASE CHECK BACK OFTEN! Guiding Principles for the Care of Older Adults with Multimorbidity: An Approach for Clinicians: American Geriatrics Society Expert Panel on the Care of Older Adults with Multimorbidity. J Am Geriatr Soc 2012. Minimizing inappropriate medications in older populations: a 10-step conceptual framework. Scott IA, Gray LC, Martin JH, Mitchell CA. Am J Med. 2012;125(6):529. The increasing burden of harm resulting from the use of multiple drugs in older patient populations represents a major health problem in developed countries. Approximately 1 in 4 older patients admitted to hospitals are prescribed at least 1 inappropriate medication, and up to 20% of all inpatient deaths are attributable to potentially preventable adverse drug reactions. To minimize this drug-related iatrogenesis, we propose a quality use of medicine framework that comprises 10 sequential steps: 1) ascertain all current medications; 2) identify patients at high risk of or experiencing adverse drug reactions; 3) estimate life expectancy in high-risk patients; 4) define overall care goals in the context of life expectancy; 5) define and confirm current indications for ongoing treatment; 6) determine the time until benefit for disease-modifying medications; 7) estimate the magnitude of benefit versus harm in relation to each medication; 8) review the relative utility of different drugs; 9) identify drugs that may be discontinued; and 10) implement and monitor a drug minimization plan with ongoing reappraisal of drug utility and patient adherence by a single nominated clinician. 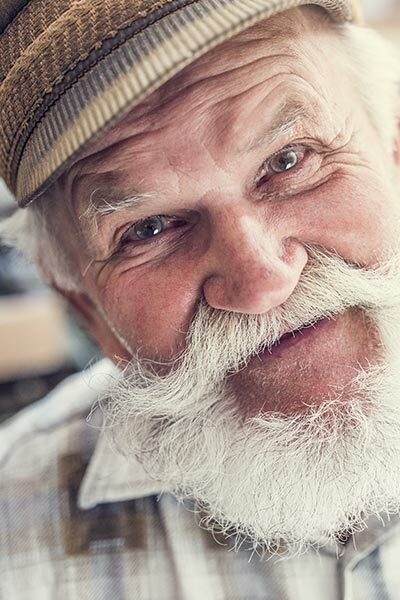 The framework aims to reduce drug use in older patients to the minimum number of essential drugs, and its utility is demonstrated in reference to a hypothetic case study. Further studies are warranted in validating this framework as a means for assisting clinicians to make more appropriate prescribing decisions in at-risk older patients. Dementia is the loss of cognitive functioning—thinking, remembering, and reasoning—and behavioral abilities to such an extent that it interferes with a person’s daily life and activities. Dementia ranges in severity from the mildest stage, when it is just beginning to affect a person’s functioning, to the most severe stage, when the person must depend completely on others for basic activities of daily living (NIA). Interprofessional collaborative practice is “when multiple health workers from different professional backgrounds work together with patients, families, carers [sic], and communities to deliver the highest quality of care” (WHO, 2010). “Interprofessional team-based care is care that is delivered by intentionally created, usually relatively small work groups in health care, who are recognized by others as well as by themselves as having a collective identity and shared responsibility for a patient or group of patients, e.g., rapid response team, palliative care team, primary care team, operating room team” (IPEC, 2011). Integrated care, including mental health professionals, can significantly improve the quality of care for older adults while decreasing expenditures (IOM, 2010). Knowledge and skills for working in integrated healthcare teams are imperative for those working with older adults, and for those with chronic conditions across the lifespan (IOM, 2010), particularly in light of the Affordable Care Act. Working effectively with teams is also an element of culturally competent care (Pecukonis et al., 2008) and a requirement of the Joint Commission, the accrediting body for health care facilities in the provision of high quality health care. The rural shortage of geriatric health care professionals and services complicates health and socio-economic disparities, as well as access issues caused by the geographic isolation of many residents (National Rural Health Association, 2007; Rural Health Reform Policy Research Center, 2014; USDA, 2015). The ratio of rural area physicians is 30% lower than that of urban communities even though there is a greater percentage of older adults in rural areas. Other rural problems include transportation, a culture which resists asking for help, discharges to homes vs. skilled facilities, and limited Internet access (Jaffee, 2015). In Illinois, the ratio of rural residents to primary care providers is 1292:1 and increased to 2518:1 in the southern-most 16 counties (CDC, 2012). Furthermore, MCCs are more common in rural areas, complicating care provision in the region (CDC, 2015; Bardach et al., 2011; Hash et al., 2015). An overview and analysis of the current status of rural communities and rural elder health, including policy, and practice. Suggests recommendations for future policy based on a systems approach which incorporates sustainability, best practice, quality, efficiency, and effectiveness. Assesses four types of organizational models for delivering integrated physical, behavioral health services, and long term services and supports to rural older adults. Each model has different strengths and drawbacks, weighing for and against implementation in rural areas. Reports that introducing an integrated care model in a rural community requires an investment in building relationships with local providers and adapting to local culture and services. By 2025, as many as 6 million people over 65 will identify as LGBT (Sage, 2014). In Illinois, 3.8% of adults already identify as LGBT. 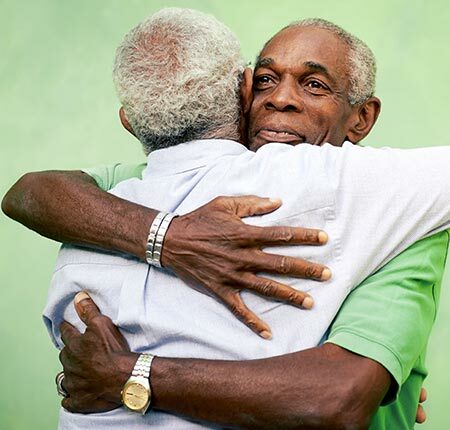 Older LGBT adults are at greater risk for more severe health issues, poorer health outcomes, and higher mortality rates than their heterosexual counterparts (Bonvicini et al., 2003). Fear of facing insensitivity and discrimination can become a barrier to care, further reinforcing social isolation and leading to avoidance of needed healthcare (Bonvicini et al., 2003). Health care professionals receive inadequate training in geriatrics and little to no training in health disparities and cultural competence as it pertains to aging LGBT populations (Cahill et al., 2006). By the year 2030, more than 20 percent of the U.S. population will be 65 years or older (Administration on Aging, 2014.) As the American population ages, growing numbers of people are serving as caregivers for family members affected by dementia, multiple chronic conditions, and other types of functional impairment. Dementia alone is present in 1 of 9 individuals older than 65 years and as many as 80 percent of these persons are being cared for in their homes by family members. (Alzheimer’s Association, 2016.) In this role, caregivers have meaningful and fulfilling experiences while providing care to a family or friend. At the same time, it’s important to recognize the impact that providing care for a loved one can have on one’s own health and relationships. 26% reported that they had experienced new or worsening of their own health problems as a result of caregiving. While it’s easy to see how caregivers can struggle with the responsibility of caring for a loved one, there are a number of resources and opportunities for supporting caregivers (e.g. homemaker services, respite care, support groups, etc.) There is no formula when it caring for a loved one. Each family situation is unique and there are many ways to care for a loved one. Please see below for more information and resources.